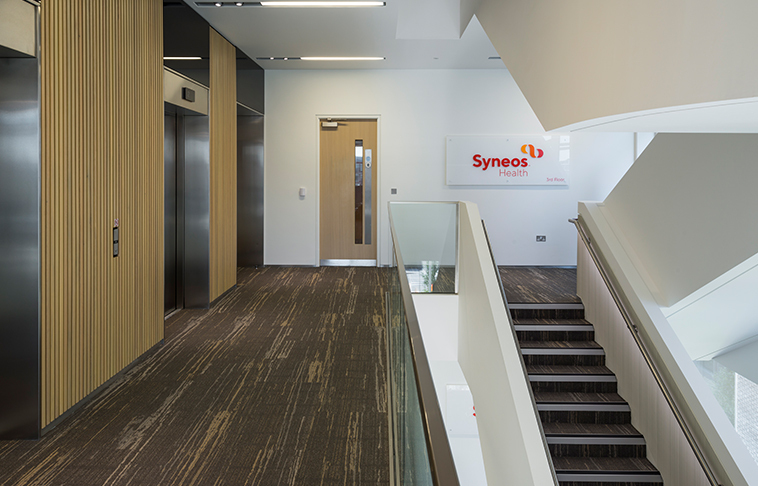 Amtico have supplied their Amtico Carpet for Syneos Health in Hampshire, after US-headquartered Syneos HealthTM set about increasing its presence in the UK. 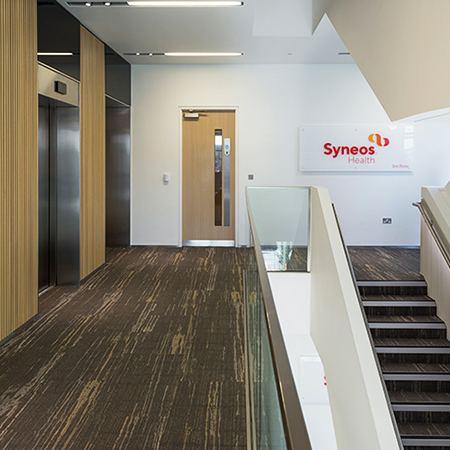 The Amtico Carpet range features 11 individual collections, featuring 22 designs in 106 different colourways allowing clients to choose and blend together a broad spectrum of patterns and shades. 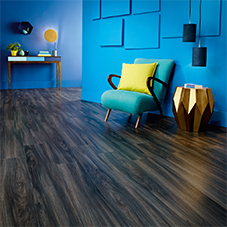 The tiles have a pile thickness of 2.6mm and a thickness of 6.7mm, they come in two easy-to-install modular sizes and have a 10-uyear commercial warranty. 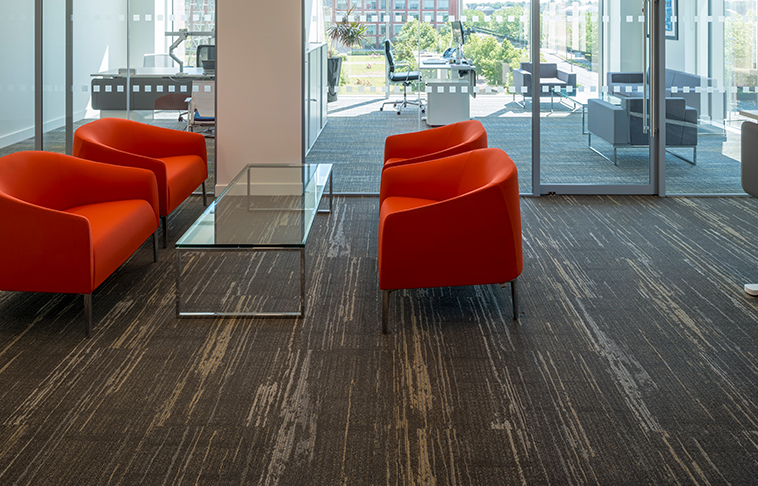 They are made up of high-performance type 6.6 nylon, which is designed to help the carpet keep its shape and resist matting and crushing. 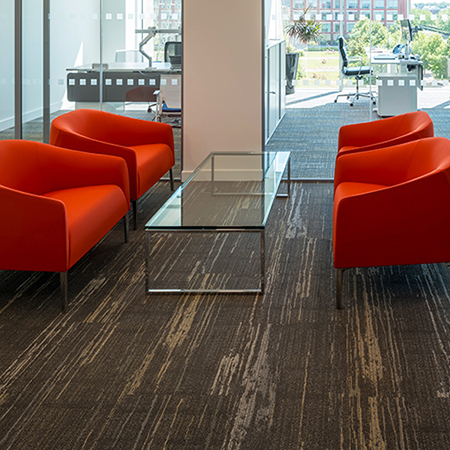 Amtico Carpet tiles are extremely fade resistant and come with XGuard stain resistant technology, a soil resistance treatment makes the carpet easier to clean.